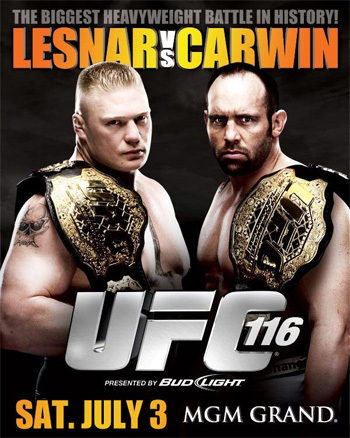 With less than 16 days until showtime, it appears that a minor tweak will be made to UFC 116‘s fight card. According to MMAWeekly.com, Forrest Petz has agreed to face Daniel Roberts inside the MGM Grand Garden Arena on July 3rd. Weekly did not report why Julio Paulino was forced to pull out of the welterweight scrap. This won’t be Petz’ first foray into the Octagon, as he dropped a split decision to Josh Burkman at UFC 77 back in 2007. Although he’s bounced around multiple organizations since his exit, he owns a respectable 18-7 professional record overall. The highly anticipated event will be headlined by a heavyweight title unification bout between champ Brock Lesnar and interim champion Shane Carwin.